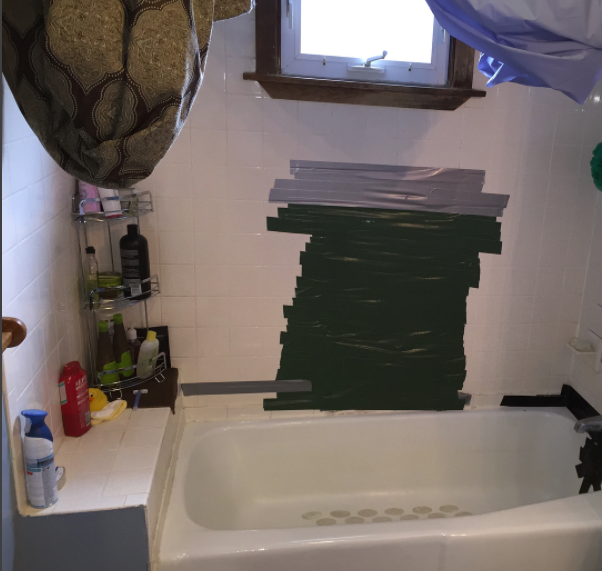 Our customer called with the need to update their bathroom. The surrounding tile wall was falling apart and was patched with duct tape. The tub was cracked under the faucet and the window was framed with wood that, despite their cleaning, continually gathered mildew. Their other complaint was that there was no build in shelving. Mr. Tub arrived and in the same day, left with the bathroom completely finished. The falling tile was replaced with a marble style wall surround with two corner shelves built in. 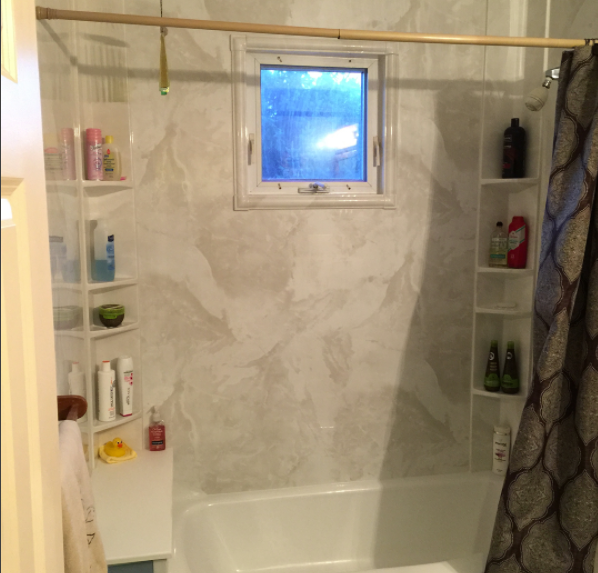 A tub liner was installed, updating the tub to new and a new window kit was added to remove the mold covered window frame.